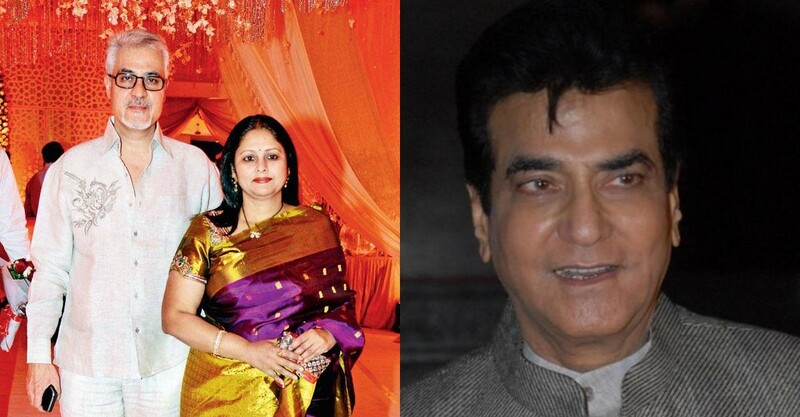 Jayasudha's Husband and Jeetendra's Cousin Nitin Kapoor Commits Suicide! Bollywood producer Nitin Kapoor was found dead in his office in Mumbai. His death is suspicious and mysterious. His wife Jayasudha is a South Indian actress. He is the cousin of renowned actor Jeetendra Kapoor. Nitin married Jayasudha in 1985 and have two sons Nihar Kapoor and Shreayan Kapoor. He committed suicide in his office on 14th March. Reason behind the suicide is not confirmed. Nitin Kapoor is a Bollywood producer who produced movies like 'Mera pati sirf mera hai' starring his cousin Jeetendra Kapoor and Kalikalam starring his wife Jayasudha under the banner JSK Combines. Nitin Kapoor also worked as an assistant director for the movie Asha Jyoti starring Rajesh Khanna and Reena Roy .